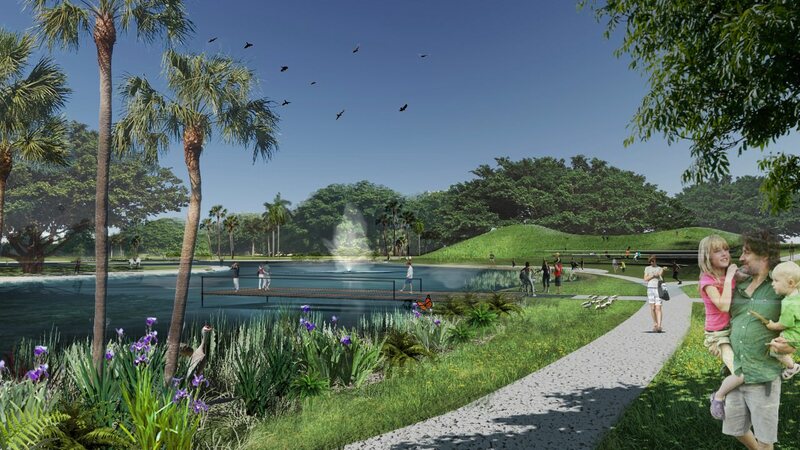 Miami Beach’s former Par 3 Golf Course will be converted into a public park after voters approved issuing bonds that will fund construction. 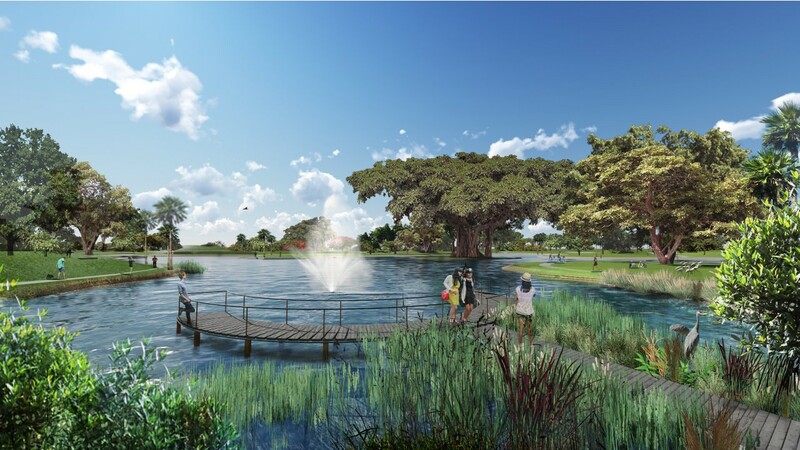 The park will span 19.3 acres. 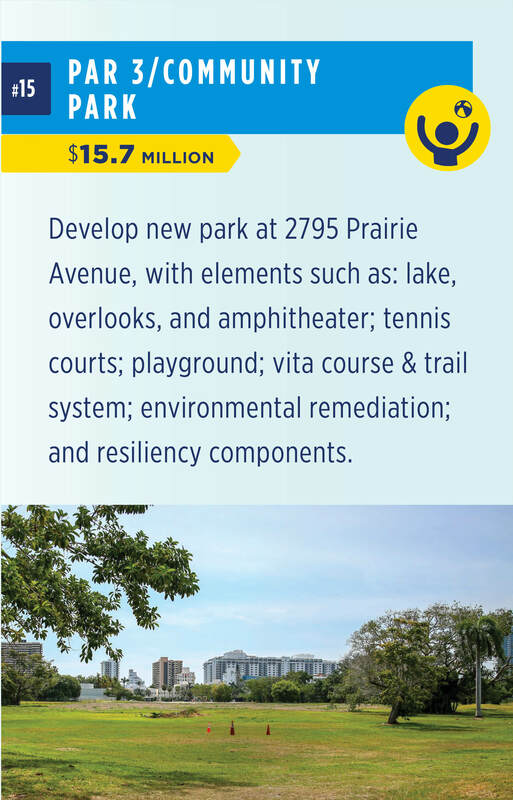 $15.7 million of the $439 million in bonds approved by voters last week are set aside to build the park. Environmental remediation is also planned, since the land has been found to be contaminated with high levels of arsenic. 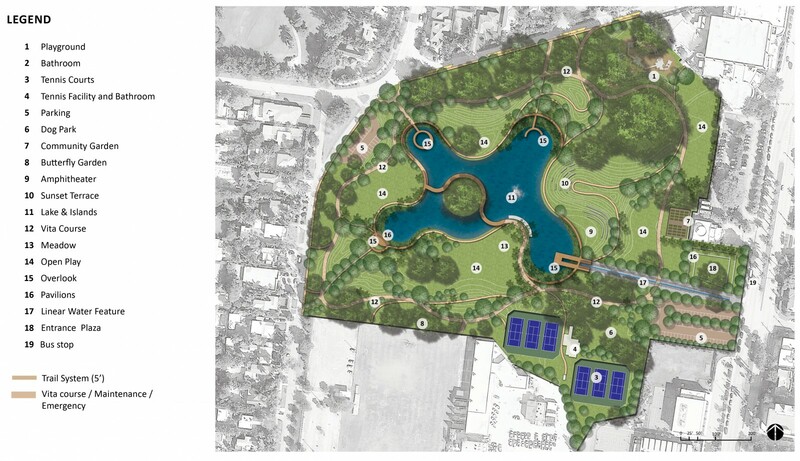 A preliminary plan prepared by Savino Miler Design Studios shows that the park would surround a lake. 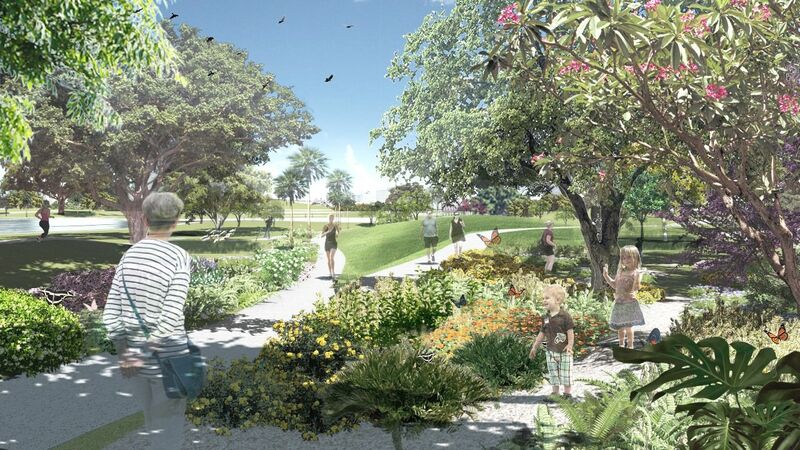 There will be walking trails, a dog park, butterfly gardens, gardens, play areas and several parking lots. Looks very nice. The City of Miami should take note. 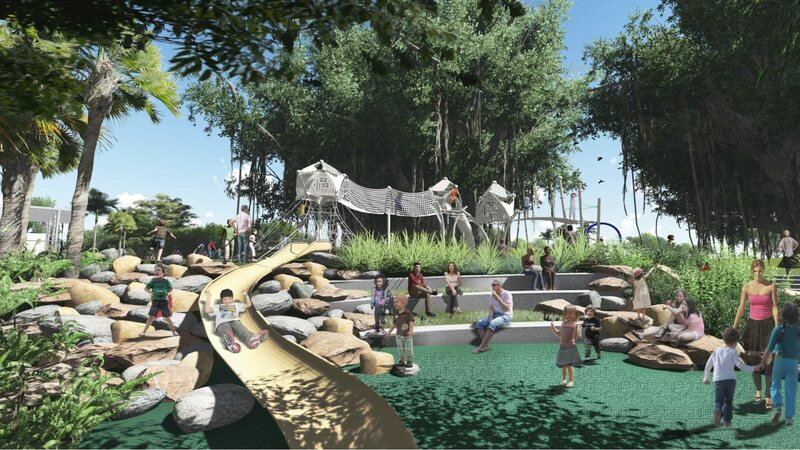 Voters approved $400 million in GO Bonds last year. What are they using that money for? 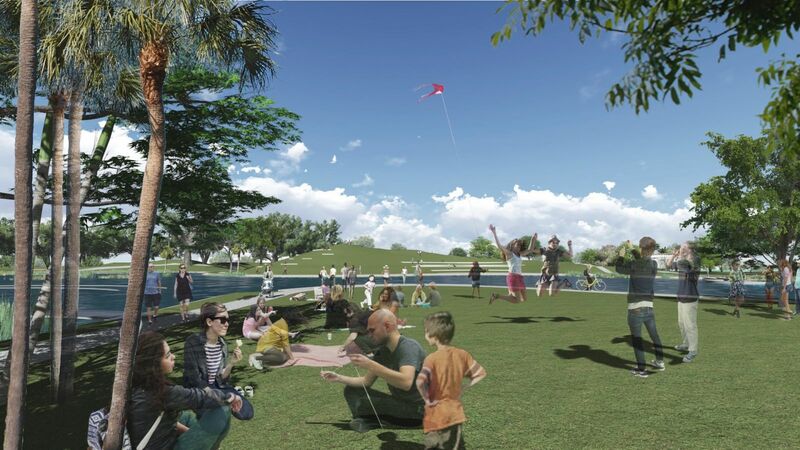 Sounds like they have a good portion of the funds necessary to link Miami Beach to Wynwood/Edgewater/Design District. No, they don’t. That purpose was not part of the ballot initiative and the money cannot be used for such. $200M of it is supposed to be for climate change/sea-level rise, even though that’s not nearly enough to make a serious impact. The committee just had their fist meeting to decide what to do with those funds. New boats and trips to China. 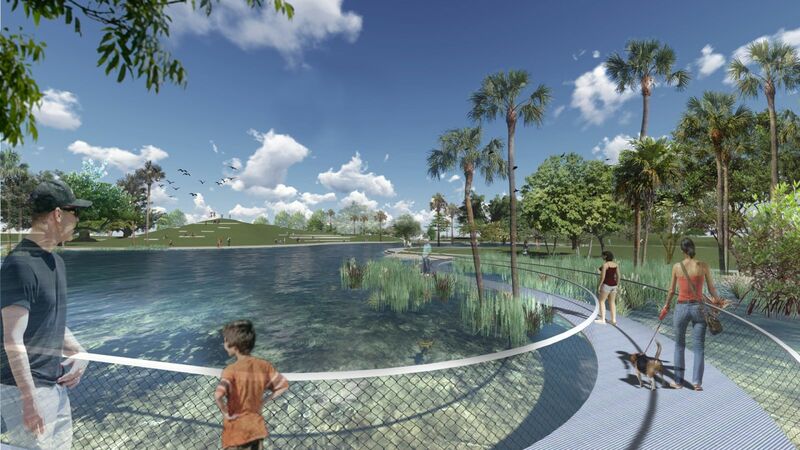 This is fantastic and I hope they don’t cheap out the way Miami did with Museum Park. Hopefully they set aside money to maintain it as well. Bond money must be spent on infrastructure. Bond money cannot be spent on maintenance. This park looks nice. Please build some bike lanes so residents can easily and safely get to the park. 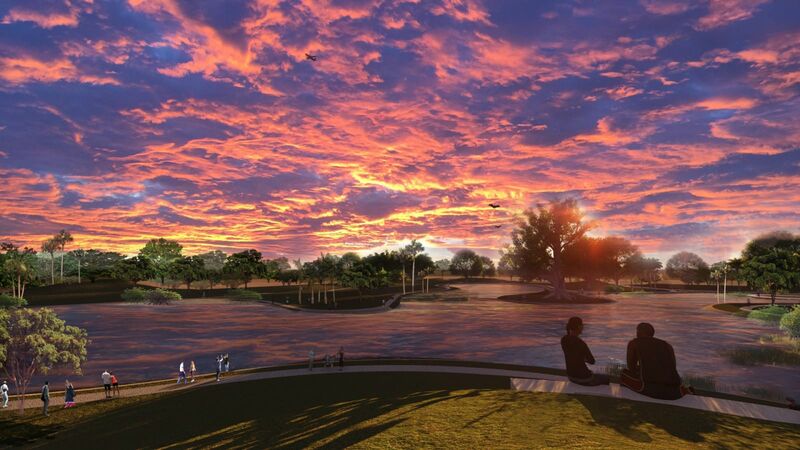 Golf courses are a waste of land. especially where we have 3904 of them in Dade-County. Such a waste. And we see people crying about Melreese. We do not have 3904 golf courses in Miami-Dade County. Great. 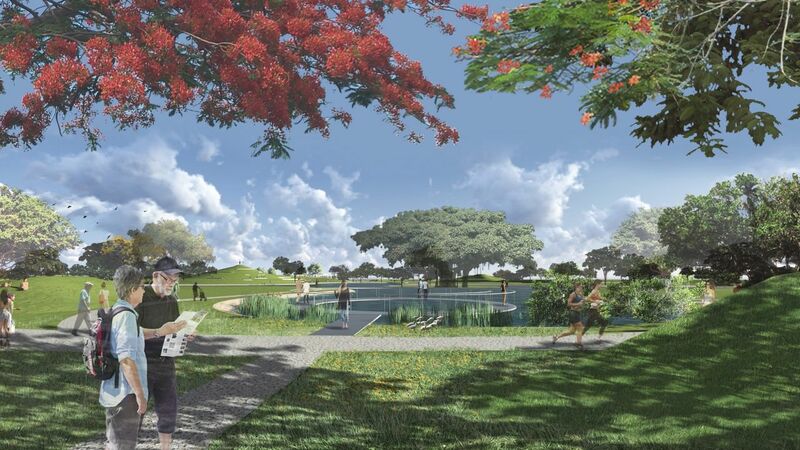 Miami Beach gets (another) world-class park while the City of Miami gets stuck with another stadium and office complex at Mel Reese. Hopefully our Miami Commissioners (who will give the final approval for this stadium) will look across the bay and see the real potential that they are sitting on rather than the snapshots shoved in their faces by MLS soccer. 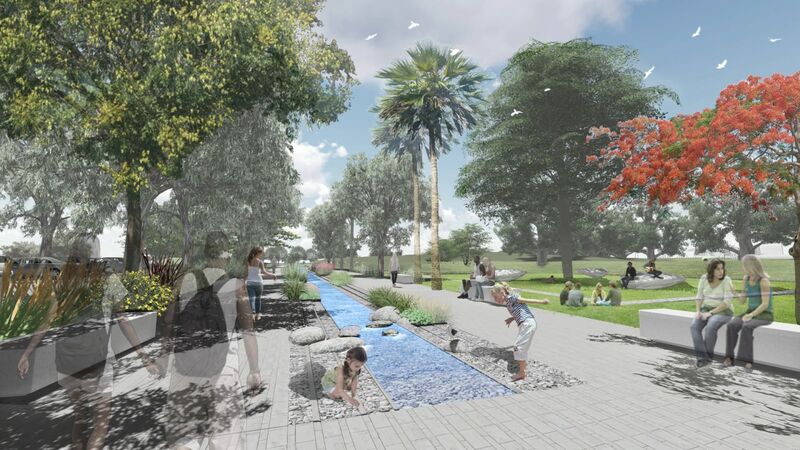 The dopes in the City of Miami just voted to bulldoze 73+ acres of grass and trees covering a park AND they voted to cover the land in concrete, office buildings, a mall and a hotel. Which bus is running there?